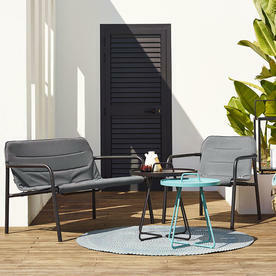 Easy, stackable outdoor lounge furniture. 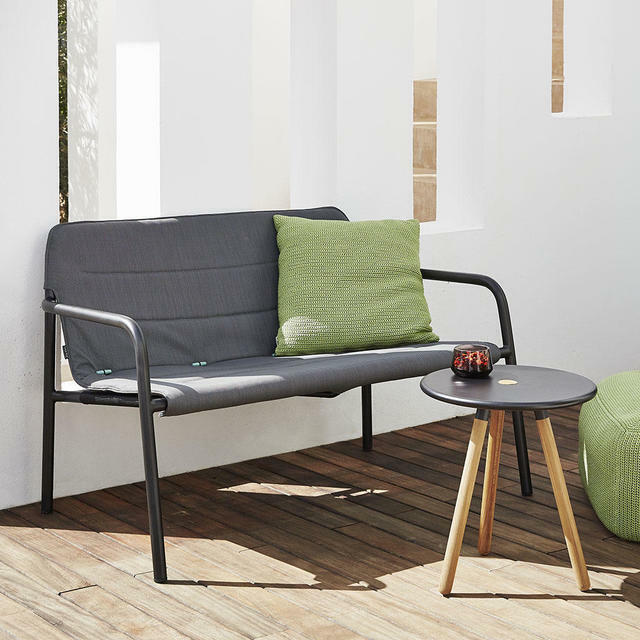 The Kapa lounge chair and 2 seater sofa have been designed by Gudmundur Ludvik + Hee Welling. 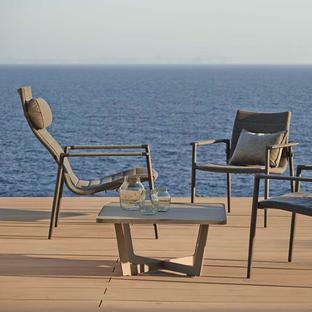 Kapa is light and contemporary in styling, but as with all Cane-line outdoor furniture is very comfortable. 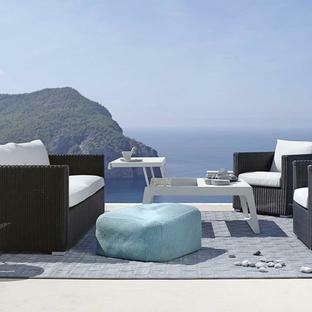 Both the chairs and the 2 seater sofa are stackable and is therefore ideal if you want to stack the furniture away during the winter months. 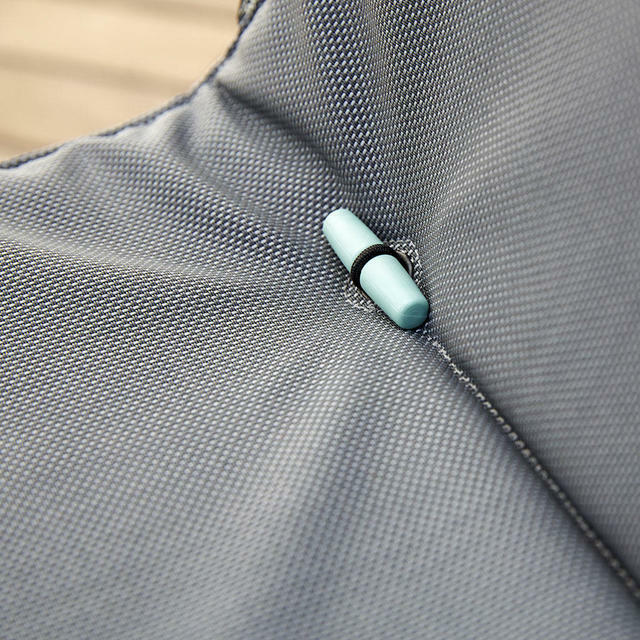 The seat and back cushions have the detail of turquoise toggles to connect the seating to the frame. 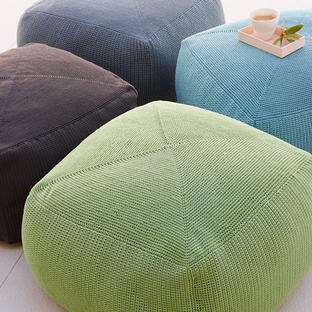 Team with a side table like On The Move or Area and a footstool such as Divine. 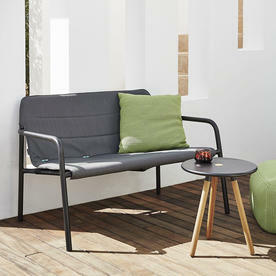 The lounge furniture is ideal for outdoor use and can be left outside all year round if required. 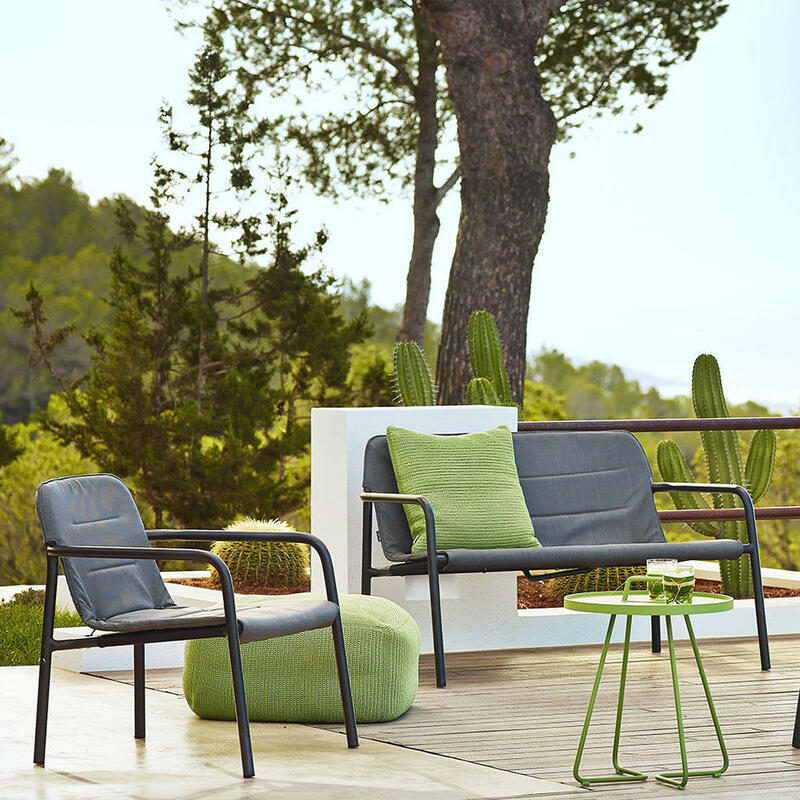 The Kapa Lounge collection is made from lava grey Cane-line Powder Coated Aluminium and upholstered all weather grey Cane-line Tex cushioning. QuickDry foam allows the quilting to dry quickly after getting wet.